What services does LeapIN provide? How much control do I have over my business and LeapIN processes? Does LeapIN have an interface where I can see an overview of my company? Does LeapIN allow multiple shareholders? Why can't I sell physical goods with LeapIN? Which costs am I allowed to claim as business expenses? When and how do I need to provide my expense documents? How long does it take to open up my company and start the business? Do I need to travel to set up a company? What form of entity is an OÜ (private limited company)? Do I need to have a local director? Do I need e-Residency to use LeapIN services? How do I apply for the e-Residency and how much does it cost? 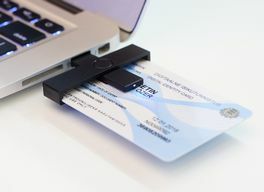 What is the next step after I've received my e-Residency?